Offering you a complete choice of products which include artificial vertical garden and vertical garden. Give ur interiors, exteriors, terraces, lobbies a lively look. 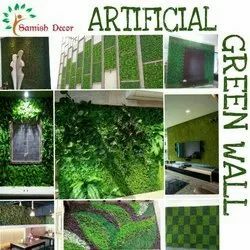 Come close to nature, feel fresh with this artificial green wall tiles. This is high quality, high grade UV protected material, comes in many different ranges. Gives a lively and greenery to your office areas, lawns, entrances, living rooms etc. 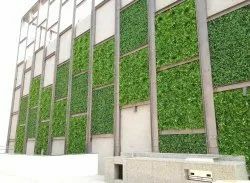 Looking for Artificial Green Wall ?